It’s no secret that many people think fluoride is harmful to your health and to your teeth. However, did you know that the American Dental Association (ADA) recommends using fluoride? That’s right—fluoride can be found in your water and in some toothpastes and rinses. At Alaska Dental Arts North Pole, you can count on an experienced dental team to answer all of your questions about fluoride. This affordable family dentist office is located in Greater Fairbanks, AK, and if you call this city home, then you are in luck! Your neighborhood dentists are here to make sure your mouth stays healthy. No matter what you have heard about fluoride and oral health, these experts are here to tell you that fluoride is safe, and it works. The biggest myth out there is that fluoride will destroy your teeth. Fluoride is a chemical ion of fluorine. Did you know that fluorine is an element that occurs naturally in the earth’s crust? When fluorine—which has a negative charge—meets a positively-charged ion, your mouth will fight cavities with extra strength. Once fluoride makes its way into your enamel, it teams up with calcium and phosphate to create a shield made of fluorapatite. This shield will protect your teeth from decay. How wonderful is that? The next time someone tells you that fluoride is bad for your teeth, don't let them scare you. The dentists at Alaska Dental Arts North Pole in Greater Fairbanks want you to have an extraordinary smile. To learn more about the benefits of fluoride, visit the dental practice online or on Facebook. 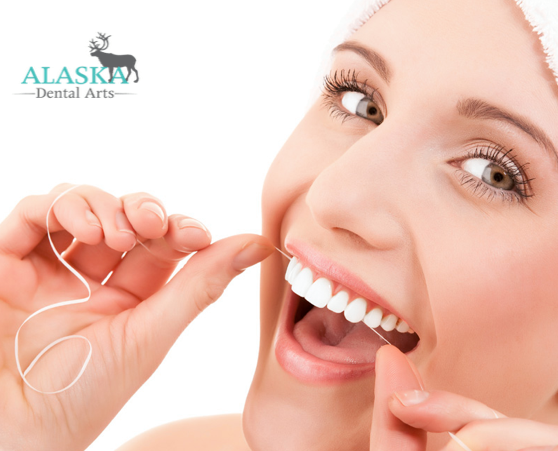 Also, an experienced team member can answer your questions about all of the dental services that Alaska Dental Arts North Pole provides; just call (907) 490-4650 and a friendly staff member will greet you.